Happy Monday! How was your first week back to a normal schedule after the holidays? Ours was challenging in terms of getting up in time for school, but overall it was nice to get back to normal! I had a busy week here last week. I did an interview with Lou Aronica, publisher and author of the new novel, Blue, which published on Saturday. I finished reading Blue and will be putting up my review this week. I really enjoyed it! I posted a few comments and questions about my new Nook, so if you have a Nook or other e-reader, check it out and let me know what you think! Speaking of the Nook, last week I said I had started A Secret Kept by Tatiana de Rosnay. Well, I soon found out that the free download was actually an excerpt, not the full book. And I just wasn't enjoying it enough to buy it at this point. It was okay, so I may purchase it later, or borrow it from the library. But I decided to move on to something else for now. Finally, I got back to my weekly What My Children Are Reading post after a few weeks off. I'm currently reading When Pigs Fly by Bob Sanchez. This is a book I discovered over a year ago, but I just haven't gotten around to buying it until now. I found the e-book for $5, so I downloaded it and am finally reading it! I'll be moving on to my January book club selection, Picking Cotton by Jennifer Thompson-Cannino, Ronald Cotton and Erin Torneo. We have our meeting on the 20th, so I need to get reading! Come visit if you get the chance. I've been curious about eReaders. I'll have to actually check one out soon. I never heard of these books before. But the title of When Pigs Fly sounds fun! 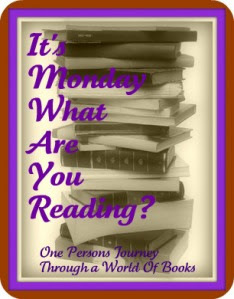 :) Have fun reading the books you want to read this week! Hi Julie~ Enjoy your books! Here's my Monday post. All new titles to me. Happy Reading! Sounds like you have some good books going lately! Good luck with your book club book. I just finished Year of Wonders by Geraldine Brooks for my library book discussion.